With the Earth’s population on a trajectory to grow by 3 billion people in the next 50 years, the cumulative impact of human activity on the planet, from habitat loss to climate change, requires a new approach to conservation. There is a need to focus on conserving the ecological processes that sustain the functions of the planet – from wildlife migration and dispersal to natural disturbance, pollination and hydrology. Connectivity conservation links landscapes/seascapes, reducing fragmentation and enabling migratory flows essential to a functioning and resilient system. 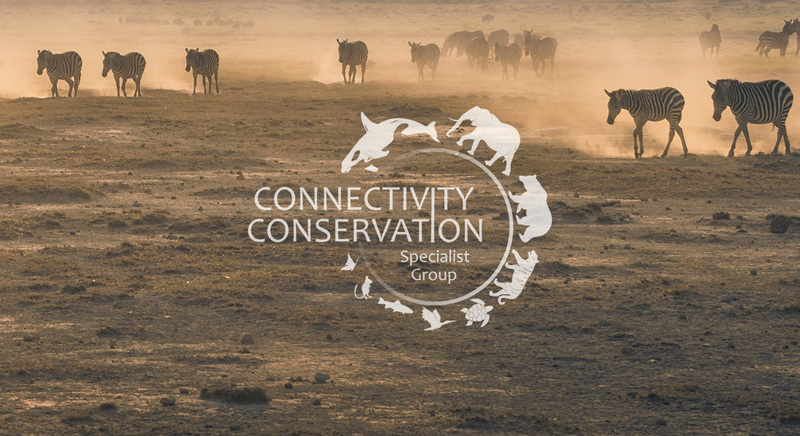 Under the IUCN World Commission on Protected Areas, The Connectivity Conservation Specialist Group’s (CCSG) ultimate goal is to facilitate wildlife corridor and ecological connectivity conservation on a global scale through the identification, retention and effective management of Areas of Connectivity Conservation (ACC). The CCSG will offer regional practitioners tools and support to advance wildlife corridor and ecological connectivity conservation. Areas of Connectivity Conservation offer an essential structure for regional practitioners to maintain or restore ecological and evolutionary processes across landscapes, fresh waters, and seascapes so that people and other species are able to adapt and survive with environmental change. Areas of Connectivity Conservation (ACC) are a newly proposed conservation designation purposed to protect natural, and semi-natural landscapes, fresh-waterscapes and seascapes that exist outside of IUCN target 11 protected areas designation, while offering structure to link protected areas into connected matrices. ACCs reduce fragmentation, enable migratory flows, and conserve ecological processes that are often missed by traditional protected area designations. In doing so, they provide a fundamental contribution to maintaining the ecological integrity of protected areas and the habitats and species they conserve. Currently, the Connectivity Conservation Specialist Group is carrying out a global consultation process to develop IUCN standards for Areas of Connectivity Conservation: Definition, Types, Selection Criteria, and Governance, which offers governments guidance on how to secure, implement, and monitor the newly proposed conservation designation. The consultation process will engage NGOs and governments to refine the document to its utmost effectiveness.